A Staffordshire family have been able to buy their dream Bovis Home thanks to a special purchasing scheme which gives house hunters the opportunity to get their foot on the property ladder. Helen and Gavin Harrington-Jones were keen to buy their first home, but as a family of five that grows to seven at the weekend, saving a deposit for a house which would suit their needs seemed impossible. Until, that is, they discovered the Home Reach scheme at Bovis Homes’ Sancerre Grange location in Eccleshall. In partnership with housing provider, heylo, Bovis Homes offers the Home Reach scheme at a variety of its locations on a selected range of properties. Purchasers can part-buy part-rent their new home, with the option to increase their level of ownership at any time. 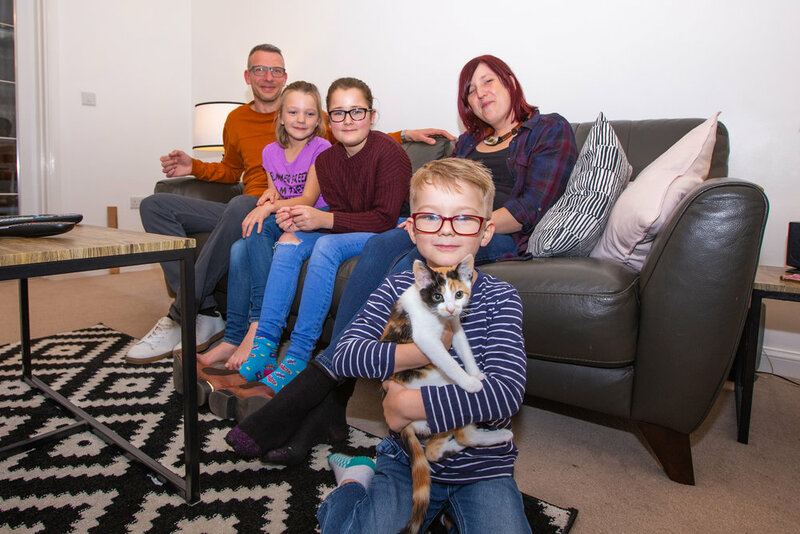 Helen and Gavin, who is a postman, reserved the four-bedroom Canterbury, which was the ideal home for them and their children Lexie (11), Lizzie (9), Ellis (4), as well as Noah (12) and Meghan (20), who often visit at weekends. Moving from their rented three-bedroom house six miles away in Stone, the family soon settled into their new house.